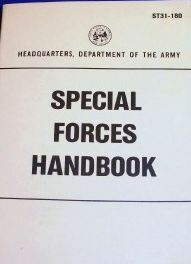 Special Forces Handbook Military Manual. Unconventional Warfare...Survival...Training. 200 pages. ST31-180.